The decanter has a round shape, which gives the wine plenty of surface area to absorb extra oxygen. The slender neck restricts air circulation, thus preserving the bouquet. The special shape of the vase opening allows drip-free pouring. It is perfect for decanting and serving wine, or for pouring water at the table. High-quality glass for restaurants and homes. Optimal distribution of aromas for perfect wine enjoyment. Dishwasher-safe. Also suitable for young red wines and certain white wines such as Chardonnay and Riesling. In order for wines rich in content to develop their full aroma, it is best to transfer them from the bottle into a decanter. With these so-called decanters, the wine runs liberally into the decanter and in doing so is enriched with oxygen. The decanter has a rounded shape that gives the wine a lot of surface area to allow for further oxygen absorption. The slender neck of the decanter bottle means that the air can circulate without the bouquet escaping. Decanting comes from the French and means to "clarify or strain.” For a long time, only mature and well-stocked red wines were decanted in order to separate them from any deposits. Today, young red wines and certain white wines such as Chardonnay and Riesling are also decanted. The WMF Easy Plus collection provides glasses for every occasion. Because of their timeless design, the range of glasses fits in both modern and traditional settings. The different glasses are not only perfect for putting together an individual set, but they are also an ideal supplement for an existing collection. Wine lovers in particular will appreciate the Easy Plus collection because it offers glasses designed for four different types of wine. Made of high-quality crystal glass, the Easy Plus collection is easy to care for and dishwasher safe.  WMF provides a two-year guarantee on clouding.